At SPM we work hard to ensure the safety of our window cleaning operatives, as well as the safety of our clients. We employ the most modern, effective window cleaning techniques, all of our window cleaners are fully-trained and experienced with these methods, as well as product usage and safety procedures. Our window cleaners all carry company identification for your protection, and are fully-insured against damages. We work strictly to window cleaning regulations and guidelines, and will always clean your windows to the highest industry standard. 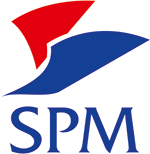 SPM recognises its responsibilities as an employer to provide and maintain a safe and healthy environment for all its employees and persons affected by the Company’s activities. We will take all necessary steps, to meet these responsibilities. SPM will provide appropriate training, safety devices and personal protection equipment and clothing as is necessary to safeguard the health, safety and welfare of our employees.